The AmaViola will be sailing the Danube River. Adventures by Disney has an exclusive charter on the AmaViola for seven departures this year. Earlier this week AmaWaterways launched its second river cruise ship for 2016, the 170-passenger AmaViola, which will be used for Adventures by Disney sailings this summer. The AmaViola is sister ship to the recently launched AmaStella. This new ship was designed to groups and families travelling together with six sets of adjoining cabins that can be connected by an internal doorway, accommodating families of up to five, and four suites with convertible sofa-beds that can accommodate families of up to four. Many of these staterooms feature onboard the AmaViola feature AmaWaterways’ signature twin-balcony concept, a French balcony adjacent to a step-out balcony. And all cabins are outfitted with AmaWaterways’ entertainment-on-demand system, which includes complimentary in-room Internet, on-demand movies, music and satellite television. The AmaViola also features the Chef’s Table, an alternative dining venue at the aft of the vessel; a heated pool with a swim-up bar on the sun deck; and fitness, salon and massage areas on the lower deck. Summer 2016 departure dates along the Danube now include July 7, 14, 21, 28, and August 4, 2016. Winter 2016 departure dates – designed to take advantage of winter school breaks and Europe’s magnificent Christmas Markets will now include December 15 and December 22, 2016. The December 15 sailing will include a special private cocktail reception (for the adults, obviously) at the Spanish Riding School in Vienna, along with a visit to Schloss Hof. 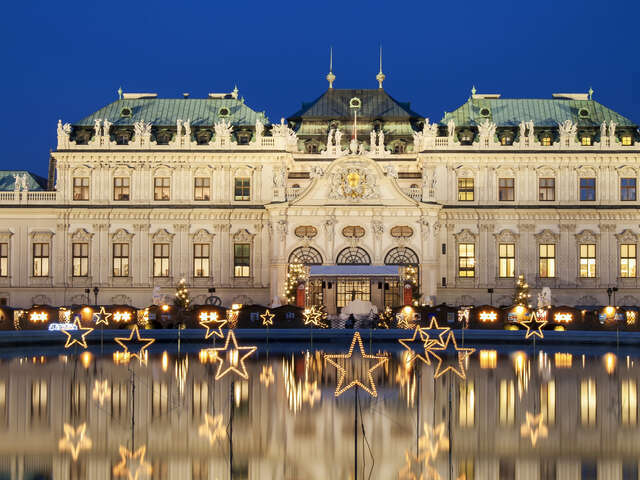 The December 22 sailing features a special holiday performance by the Vienna Boys Choir in the Hofburg Palace chapel, and a special Holiday menu onboard. Adventures by Disney just announced that it will add more departures to its family river cruise program next year with six Rhine cruises on AmaWaterways’ new 158-passenger AmaKristina. How exciting!